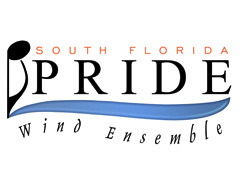 South Florida Pride Wind Ensemble The organization was created in 1986. The Wind Ensemble, Jazz Ensemble and Marching Band produce two major concerts per year at the Broward Center for the Performing Arts. While the band has definitely grown and changed throughout the years, one thing remains constant. Our primary function is to entertain audiences in South Florida and support the community through our various performances.